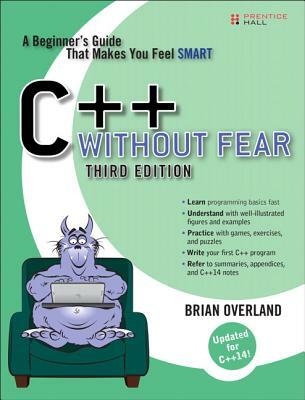 Brian Overland has earned rave reviews for this book's approach to teaching C++. He starts with short, simple examples you can easily enter and run. Within a couple of chapters, you'll be creating useful utilities, playing games, and solving puzzles. Everything's simplified to its essentials, patiently explained, and clearly illustrated with practical examples and exercises that help you make progress quickly. Whether you want to learn C++ programming for pleasure or you're considering a career in programming, this book is an outstanding choice.